Sea Angling, Hill Walking, Golf and Water Adventure activities are all available locally. 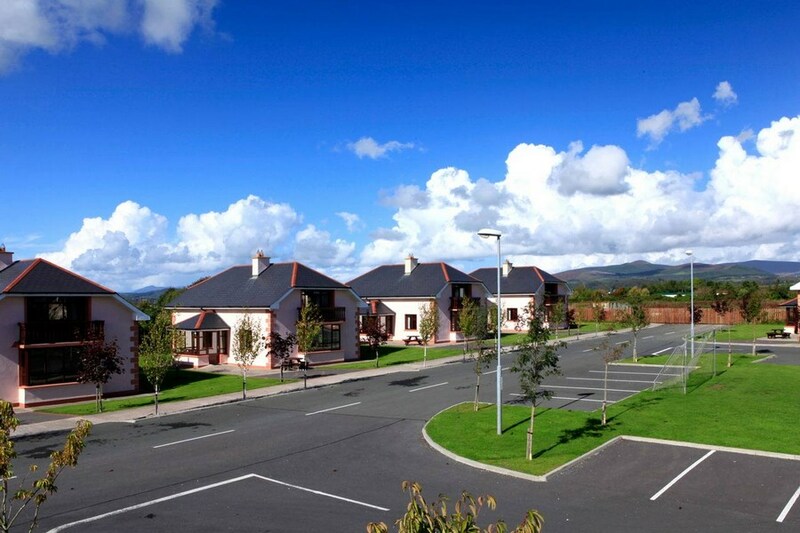 Local activities include cycling, running and walking on the nearby Deise Greenway, which is situated along the Waterford to Dungarvan Railway. Bicycles may be hired and delivered to you at the resort. Very enjoyable, good food, good value for money, basic and nothing flash but comfortable and clean. Great one night stay in a beautiful part of Ireland. We will be back, lots to see and do and the hotel is the prefect location. We had a very pleasant stay in the Gold Coast Hotel. It's a family run hotel and is cosy rather than modern and we had everything we needed. Bed was comfortable, food good, staff helpful and the leisure centre was quite good. However it was full of children when we were there but they cater for families. Stunning view across the bay from the restaurant. My friend and I have just spent three nights in the Gold Coast Hotel. The room was basic but clean and comfortable. The breakfast was satisfactory and the food in the bar was ok. The staff were friendly and helpful. The hotel gives excellent value for money. A perfect base for visiting the greater Waterford area. We would return again. Excellent stay, rooms were basic and clean. Great view overlooking the water. Loads of amenities for families. Breakfast was great and the evening meal was ideal. Great selection of choices. Staff were very helpful and friendly. Would return again. Amazing staff and wonderful food. We'll definitely be back again. WE found the hotel faultless ( apart from the aged TV - LOL) The staff were very obliging, nothing was too much trouble. The view was fantastic from the room. We will definitely be back. Great location and facilities. Friendly and helpful staff. We will definitely return. Stayed in the Gold Coast hotel last Friday and Saturday nite along with 3 of my friends. We all really enjoyed our stay their. We had beautiful breakfasts on both mornings and our meal on Saturday evening served in the restaurant was exceptional, served by really efficient and friendly staff The view was fabulous both from our bedrooms and restaurant. Rooms were spotless could probably do with a bit of upgrading but that didn't effect our stay there. Will be back again. A.M,B,K. We stayed for one night in the Gold Coast Hotel and enjoyed a lovely relaxing evening in the leisure complex which was really lovely followed by pizzas and drinks in the bar which had a very warmly welcome and a wide varied menu to suit all tastes. We would recommend this hotel to couples and families alike. Our room was very cosy with adequate heating and a beautiful view of the harbour. Hotel was lovely if not a bit quiet staff excellent, very friendly and helpful food was brilliant could not have asked for more thanks all at the Gold Coast Hotel. Nice location and lovely view. The staff were so friendly and helpful. The hotel is in a beautiful location right on the sea but the hotel itself is very dated and needs updating. 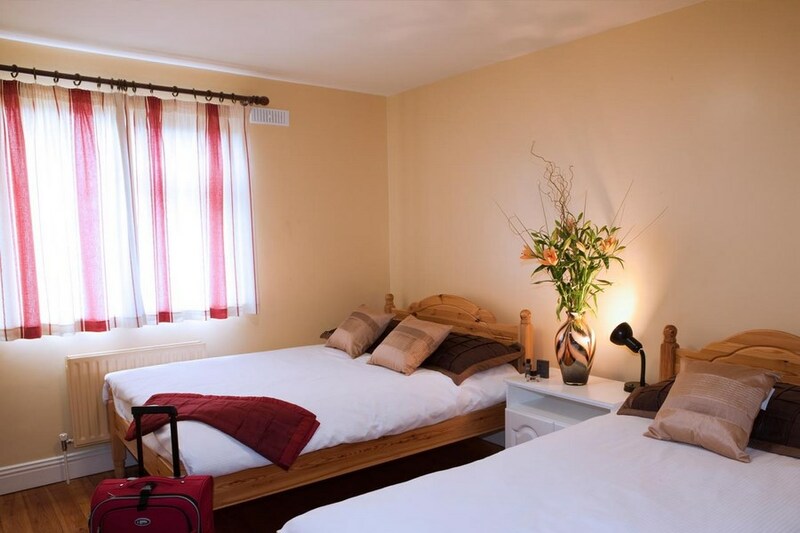 The staff were friendly and helpful and the room was comfortable but the whole place is dated and needs re-decorating. The pool area was also a bit grotty. Good value for money though but it would be really lovely if the place was given a lick of paint and some new carpets. The staff are very friendly and the hotel is very clean. The food in the bar is average and the food in the dining room is fairly good. The hotel decor, except perhaps for the pool, is very tired and dated and could do with being brought up to modern standards. The hotel is very family orientated, something that doesn't come across strongly enough in the website, if at all. For example, kids are allowed in the pool up to 7pm, the pool closes at 9pm but the dining room stops serving at 8pm effectively meaning you can't use the pool without kids everywhere and have dinner in the hotel as well. This is unfortunate as there is nowhere else to have dinner nearby. In the bar kids are allowed in up to 9:30pm and again, there is nowhere nearby to go as an alternative. If you are hoping for a quite getaway look elsewhere. Stayed in the Gold Coast Hotel Dungarvan on sat night last. The hotel was buzzing with golfers. We had a lovely meal served by very pleasant and helpful staff. The Hotel was spotlessly clean throughout. Freshly cooked breakfast was served on the Sunday morning. Highly recommend the Hotel and will definitely back. We stayed at the Gold Coast Hotel ,17 and 18 of May just last weekend . The hotel was clean , warm and very friendly . food was nice . We enjoyed our stay . Stayed one night weekending Feb 3rd. Beautiful room with spectacular seaview.. Dinner was just perfect. Service was excellent. Went for long walkk on the beautiful beach at Clonea nearby. Ideal location for a break at any time. It was a relaxing weekend . would be nice for a base to explore waterford , cork, or if you looking for a golf break. I really enjoyed my stay in this hotel. Hoping to return shortly. Such a lovely location. Lovely walks. Lovely cycle paths. Enjoyed the bowling and leasure. Would like a little bit more varity for breakfast. Found the staff really nice. 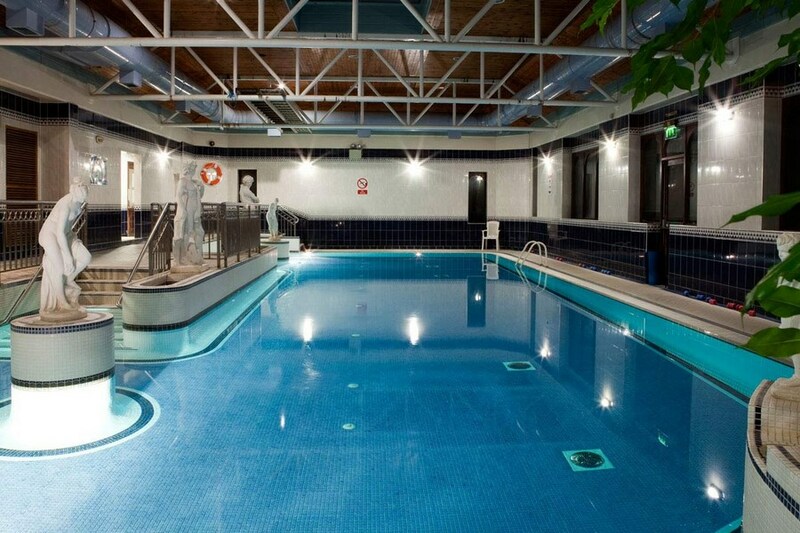 Gold Coast Golf Hotel is ideally located in a tranquil area near Dungarvan. The bedroom was nicely presented neat and tidy. The pool area was well supervised. The dinners and deserts from the bar menu were most enjoyable. The staff in the bar area were friendly and well mannered. We had a very enjoyable stay in the hotel. The meals were lovely and very reasonably priced and the staff were very friendly. Room was clean and spacious with a lovely view out onto the bay. My only complaint would be that we stayed in room 204 and the window did not close so we had a howling breeze through it and the kids play frame outside is broken in places and the sharp broken pieces need to be removed.We have a 2 year old and there are lts of activities within 5 mins for chldren. We would definitely consider going back. Excellent hotel for a quiet, relaxing break. We had a lovely sea view and the rooms were spacious and decorated in old world style. The attention to detail within the hotel was impressive, such as the array of beautiful paintings that decorated the halls and rooms. I would certainly recommend this hotel. The beaches and coastal walks are also spectacular. A full breakfast was included in the price, complete with a choice of fruit juices, cereals, breads and yoghurts. Top class for a great price! Staff very friendly , nice and clean but slightly tired rooms, but this is over looked if you have the sea view , Good swimming pool for adults and kids but is relatively small in size , food was to a high standard, will be staying in this hotel again. Hotel is located in a wonderful setting very close to the beach however needs to be modernized rooms and bathrooms slightly old fashioned. Breakfast was also quite small and not much choice especially for vegeterians. Excellent price , location , staff very friendly , nice standard rooms , great swimming pool for adults and kids , amazing holiday homes (will be renting them soon) , food was just ok , will be staying in this hotel again. very clean, nice view from window, but felt a little uneasy when we arrived at hotel to register in and was asked to pay the bill Before we checked room. We felt a bit like crinmals that we were going to run out and not pay the balance. We have stayed in many of your hotels and this is the first time this has happened . The beach was a disapointment.